Jan. 29, 2019 5:30 p.m. It was an unfamiliar feeling for Ruth Noble last week. Following neck surgery that left her unable to drive for a month, the South Surrey senior contemplated the situation from her couch, and how it could progress if her health took a turn for the worse. As a volunteer with the Come Share Society’s Peers Reaching Out program – a pilot launched last year with an aim to help isolated seniors get connected to resources, services and activities – Noble has seen how easily it can happen: a longtime spouse dies; health goes into decline; a driver’s licence is taken away; a move from the family home becomes necessary. Without a network of support, whether it’s friends, family or otherwise, “isolation can set in so quickly,” she said. According to a National Seniors Council report on social isolation of seniors, there is a “substantial amount of evidence” linking a senior’s social network with health – both physical and mental. Isolation also deprives the community of the wealth of experience that seniors have to offer, the report adds. White Rock seniors Sheila Herbert, Tony Mabey and Lois Stein say isolation wasn’t a driving factor in their decisions to move into a seniors residence in the city. But, “there’s a few in here that spend most of the time in their room,” Mabey said, of his White Rock Seniors Village neighbours. 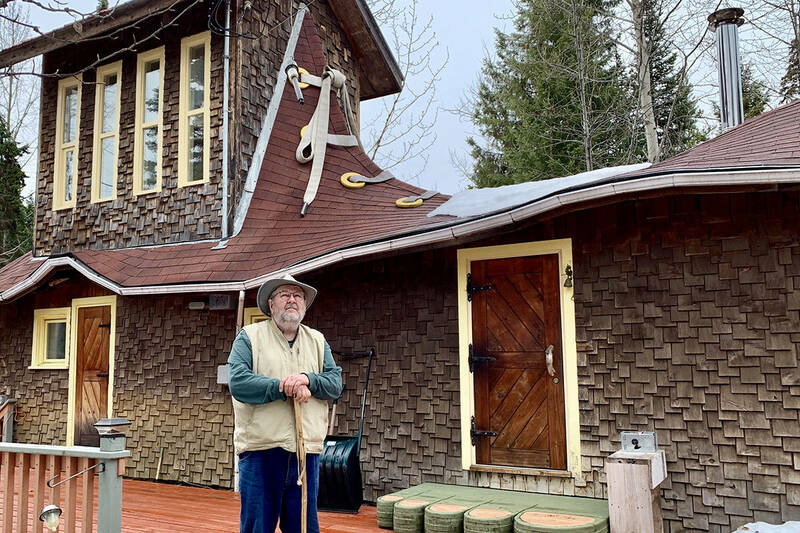 For Mabey, the move to the residence two years ago was at the prompting of his daughter, who was concerned the sociable senior would “go nuts” living on his own following the 2016 death of his wife of 30 years, Doreen. While he was filling his days with long walks and listening to music – watching TV wasn’t an option for the registered-blind senior – “once I was on my own, it wasn’t very nice,” Mabey said. Stein said both she and her daughter had concerns about the now 93-year-old continuing to live on her own in Vancouver. Youth gathering routinely in her cul-de-sac made her too nervous to sleep at night, so she moved to the residence that once bore the same name as her grandmother, Christina. Herbert, 86, said she had few qualms about living on her own – being alone and being lonely are two very different things, she agreed – with the exception of feeling vulnerable at times when it came to getting estimates for maintenance and other work around the home. She and Stein like also that their shift to a seniors residence took some worry off of their families, who know there is always someone nearby if they should happen to need assistance, for example, in the middle of the night, or when their kids are out of town. Keeping busy with activities such as dancing, and having a pet also help, they add. Tina, a Cockapoo, is fine company for Herbert, while Chipper, a green canary, adds music to Stein’s day. Seniors advocate Si Cussen said she wishes she’d been able to convince her dad to move into a similar situation after her mom died four-and-a-half years ago. Married 57 years, her mom had always done everything for him, and when she died, he was at a loss, Cussen said. Noble said isolation can quickly lead to depression. She saw it many times during her career as a case worker with Surrey RCMP’s victim services unit. She and fellow Come Share volunteers work with seniors who are referred to the peer program for six weeks, helping them navigate everything from the bus system to venturing into a new social environment. The changes she sees, she said, are heartening. Cussen acknowledged that not all seniors feel isolated – and that isolation is something that can affect people at any age – but she’s also seen the positive effects of those who have gone from being isolated to being connected. And, she’s confident she will see it again soon, with a new resident who is moving in to White Rock Seniors Village this week. During an initial visit, he told her he’s both “not social” and “lonely,” she said. She quipped back that she is determined to “crack” that, she said.